Specialized Property Management is delighted to welcome you to your new rental home. We know that moving can be stressful, and we know that there are often a multitude of little details to pay attention to. It’s easy to get lost and overwhelmed. We’ve put together some helpful information into this guide for moving into your property. We expect that these few items will help you move in smoothly and have a pleasant and successful stay with us. If you have any questions while you’re reading this reference, please get in touch with one of our agents. We’d be happy to clear up any confusion or walk you through any process. Before you move in, your leasing agent will provide you with a resident manual. This will contain all the information you need to enjoy and care for your new home. With your resident manual, you’ll also get an inventory and condition form. This is an important way to document the move-in condition of the property. We don’t want to hold you accountable for damage that isn’t your fault, so please take the time to inspect your new home carefully and make a note of anything that isn’t in perfect condition. Use the form to go through the property and note any issues. We’ll ask you to provide photographs of anything that you’re documenting on the inventory and condition form. This protects you and your security deposit during the move-out process. Please return this form to us within five days of moving into your home. We’ll keep this form in leasing department and use it when we conduct our move-out inspection. If you have noted anything that needs maintenance or repairs during this move-in process, please submit a separate maintenance request through your tenant portal. We will respond immediately and take care of any issues you may have found. We want you to have an excellent experience from the start. We want you to enjoy your new home. We’ll work with you to ensure the property is safe, habitable, and well-maintained. Sometimes, residents and even owners get confused about who is responsible for which functions of the home. Let’s take a moment to review resident and owner responsibilities. As a tenant, you are responsible for keeping the property clean and tidy. We all know that small messes can quickly become large messes. Please be proactive in the way you care for your home. Leaving food, trash, and other debris out can attract pests and insects, and it can also degrade the property as well as your quality of life. Make an effort to keep your home in good shape. Tenants are also responsible for setting up utilities in their names. Be sure to get those accounts started before you move in, because sometimes it can take a few days. If you’re switching your account from your previous home to your new one, make sure you time the transition correctly. We also ask you to take care of the landscaping. You want to live in a property that looks neat and clean from the outside, so please watch for weeds, overgrown lawns, and debris in the yard or on the patio. 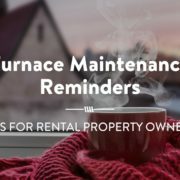 As a tenant, you’ll also need to complete minor and seasonal maintenance. This might include changing light bulbs and air filters. When you turn on the heat or the air conditioning for the first time, a clean filter will ensure you save energy and keep the heating and cooling system running efficiently. Tenants are also required to comply with all state and local laws as well as any HOA property codes, rules, and regulations. It’s easy to violate an HOA rule if you don’t know it exists, so make sure you familiarize yourself with bylaws and rules and regulations when you move into an HOA property. We can make sure you have all the necessary documents. Owners have their own responsibilities, too. Property owners must ensure that your rental property is clean, safe, and ready for your occupancy. There are several things required by the Texas Property Code, and as your property managers, we make sure the owners of your property comply with all of these requirements. For example, owners must re-key all doors leading to the outside of your home before you move in. This ensures that no one else has a key to your home, and it’s for your safety and security. Owners must provide smoke detectors in the right places, and their exterior doors must have keyless deadbolts that can only be locked and unlocked from the inside, as well as peepholes. If you notice your property missing any of these things, please notify us immediately. Owners must also provide residents with a copy of the HOA rules. We make paying rent easy and convenient. It can be stressful if the first has come and gone and you realize that you’ve forgotten to pay rent. You don’t want to incur any late fees or be irresponsible in getting your rent to us on time. Luckily, we offer secure and convenient online rental payment options. Your leasing coordinator will provide you with a log in that takes you to your private resident portal. On this portal, you can pay rent each month via a checking account or your debit or credit card. You can also set up automatic reoccurring payments to ensure on-time payments and peace of mind. 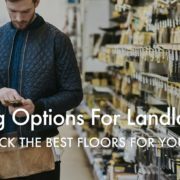 If you prefer not to pay rent online, we have several other options that might work better for you. Mailing a check to our office is still an option, and you can also drop it off to us in-person. All of the rental collection policies can be found in your lease agreement, from how much is due to when it’s due and how it should be paid. Please refer to your lease or talk to one of our agents if you have any questions. We take timely rental payments very seriously at Specialized Property Management, and we’ve done everything we can to help you keep your account current. When maintenance or a repair is needed, simply log into your online portal or call our maintenance hotline to submit a ticket. When you submit a maintenance request online, it allows us to respond to your needs right away. It also helps us both by creating a documented log of what was done at the property and how things were handled. Please try to use your online portal for routine repairs and minor issues. Emergencies should always be brought to our attention immediately. If you notice a water leak or a fire or a storm causes a tree to come crashing through the roof, don’t hesitate to call our emergency maintenance line. Someone is always available to take the call and immediately dispatch help. Maintaining your home is a priority for us. We want to be responsive and accessible when it comes to maintenance issues, so don’t hesitate to report necessary repairs. Deferred maintenance only costs more and creates larger headaches for owners, tenants, and property managers. Let us know if something is broken or not functioning the way it should. It’s hard to think about the move-out when you’ve just started moving in, but you should know early on that there are incentives to our best tenants. Specialized Property Management makes a point of rewarding tenants who have made on-time rent payments and maintained the property to our standards. If you have been a responsible, communicative tenant, and you have followed all the terms of your lease faithfully, we will be sad to lose you. But, we know that people move on, and we’ll offer you a printed payment history and letter of recommendation upon request. 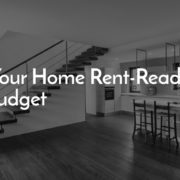 This can help you in your effort to purchase a home or in renting your next home. We’ll do everything we can to help our great tenants find a new place to live after they leave us. As we mentioned, your leasing agent will give you a Specialized Property Management resident manual with more information on all of these items and more. This can be a very helpful and important resource while you’re living in one of the properties we manage. It can save you time when you have a question and you’re not sure who to call or what to do. Start with your manual, and you may find that you can answer your own question quickly and thoroughly. We have made an effort to be as detailed as possible so that you can enjoy living in your home with few intrusions. We ask that you please keep this manual handy for easy reference throughout your stay with us. Thank you for choosing a property managed by Specialized Property Management. We hope you enjoy your new home, and we’re here to answer any questions or provide any support you need. Please don’t hesitate to contact us at Specialized Property Management in Fort Worth for any property management or leasing needs.